Engineered to exacting standards, the KSM9 condenser microphone unites the best of studio and stage. With its dual-diaphragm design and switchable polar patterns, KSM9 offers nuance and subtlety in a microphone optimized for the most demanding live environments. 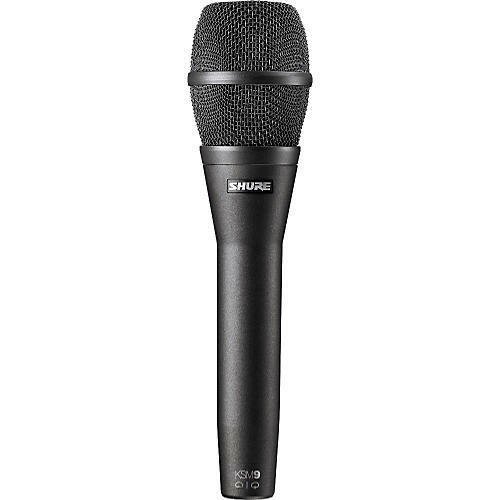 It captures vocal subtlety with extraordinary detail to deliver clear articulation, functional flexibility and precise vocal reproduction for live performance. The hand held KSM9 delivers exceptional consistency across all frequencies, provides more gain before feedback, and minimizes proximity effect.